The Vie-Long Lord Randal brushes have finally arrived. 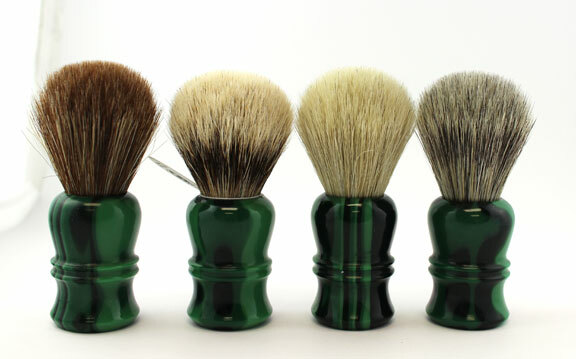 The brush, which comes in four knot choices, was designed with help from Ron Press, Ravi Dukkipati and Ben Lane while the Shave Nook members voted on the color (Malachite). All four of these brushes are great "do-anything" brushes. Whether you face lather, bowl lather, prefer hard soaps or soft creams, this brush will handle anything that you throw at it. 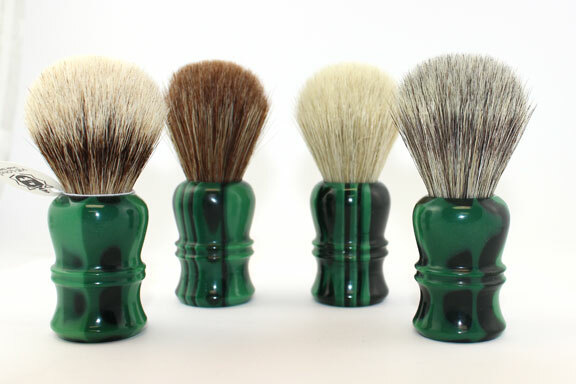 The silvertip badger, of course, has the softest face feel but all four brushes are great performers. I ordered a white horse one today as well. Look forward to my first horse hair brush! Great job to everyone who was involved in this brush! Those are some fine looking brushes, Phil.